Peacefully and surrounded by his family, Raymond Ronald Bailey, aged 93, died on Thursday, July 23, 2015 at Riverview Health Centre in Winnipeg. He will be lovingly remembered by his wife Barbara and his children Ron (Sharon Goertzen and Melissa); Ann (Gary Craven, Trevor and Sara); Mary Stanger (Ted, Margaret (Jerrimy and Aurora) and Melanie (Kyle Gluchi)); and Robert (Brigitte, Graham and Emma) and also by Barbara’s children Gloria, Michel, Janet, Roger, Marlene, Deanne and Monique and their families. Many nephews, nieces and friends near and far treasure fond memories of Ray. Ray was predeceased by his parents Ernie and Nellie Bailey and in 1988, by his first wife Joan (Pettipher). Ray was born in Brandon, Manitoba where he attained a Bachelor of Science degree from Brandon College in 1944. Following a short stint as a chemist he entered the University of Manitoba and earned a Diploma in Education (1946) and later a Bachelors of Education (1957) and a Masters of Education (1966). In 1973 he was awarded a Canada Council grant for doctoral studies in education. Ray began his teaching career at Killarney in 1946 and later held teaching and administrative positions in Melita, Morris and the Seven Oaks School Division in Winnipeg. In 1986 he retired as principal of Arthur E. Wright Elementary School. Ray was a highly respected educator who even in his 90’s was often greeted warmly by former students and colleagues. As an adjunct to his teaching career Ray was active in the Manitoba Teachers’ Society, the provincial Home & School Federation and the Manitoba Library Trustees Association. Ray had many interests outside of Education, including computers, genealogy, photography and classical music. For more than 40 years he served as a Lay Reader in the Anglican Church. For 10 years, he served on the board of Habitat for Humanity with special responsibilities for the first ReStore in Winnipeg. Ray was a proud supporter of his alma mater in Brandon and in 2005 he was the recipient of the Brandon University Alumni Association’s Distinguished Alumni Award. Ray enjoyed travel and did not accept the limitations that his health could have imposed. He travelled extensively with Barbara and cruised to Australia and back using his portable oxygen machine. Ray felt a strong affinity with the Cuban people and made more than 20 visits to Cuba with Joan, and then with Barbara, bringing scarce items to their Cuban friends. The Presbyterian Church of Varadero made them honorary members of their parish. Ray was a loving husband, father and grandfather. He was keenly interested in everyone’s life and supportive of their educational pursuits and other endeavours. Ray was an avid fan of the Manitoba Moose, then the Winnipeg Jets and the Winnipeg Goldeyes. He was at a Goldeyes game only two weeks before his passing, rooting for the home team. In retirement, Ray became an author and published “Tadpole to Little Frog”- his memoir of growing up in Brandon during the depression and war years. At the time of his passing he was working on a second volume about his life since 1949. Ray lived independently with Barbara and despite his failing health lived life to the fullest. The family thanks Ray’s family doctor, Dr. Grobler and the doctors, nurses and aides who professionally and skilfully attended to Ray during his numerous hospital stays. In particular, they thank Dr. Garcia and the palliative care staff at Riverview Health Centre. 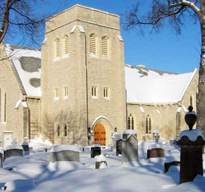 The Funeral Requiem for Ray Bailey will be held on Thursday, July 30th at 2:00 PM at St. John’s Anglican Cathedral, 135 Anderson Ave, Winnipeg, MB. The Very Rev. Paul N. Johnson will preside. In lieu of flowers, donations in memory of Ray Bailey may be made to Habitat for Humanity, 60 Archibald St, Winnipeg, MB R2J 0V8, or to Rossbrook House, 658 Ross Ave, Winnipeg, MB R3A 0M1 or a charity of your choice. Arrangements are under the care of Neil Bardal Funeral Centre, 3030 Notre Dame Ave, Winnipeg, MB R3H 1B9.